Manufacturer and Supplier of Bag accessories such as Bag Handle, Adjuster, Handle Etc. 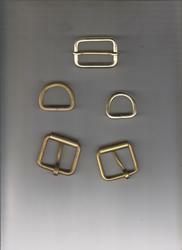 We are engaged in offering a quality range of Bag Fittings. These are manufactured using quality high quality procured raw material. Our range of pipe and dairy fittings are also available in various dimensions and sizes and can also be customized as per the client's requirements. Self Handle offeredcomes in superior construction finish and provide for durable usage. Providing for suitable door opening support, these self handles feature superior metal construction and can be provided in different surface coating options so as to match up with the specific demands of the customers. Some of its features include available in different finish specifications; provide for lasting usage support; option of OEM construction as demanded by the customers.